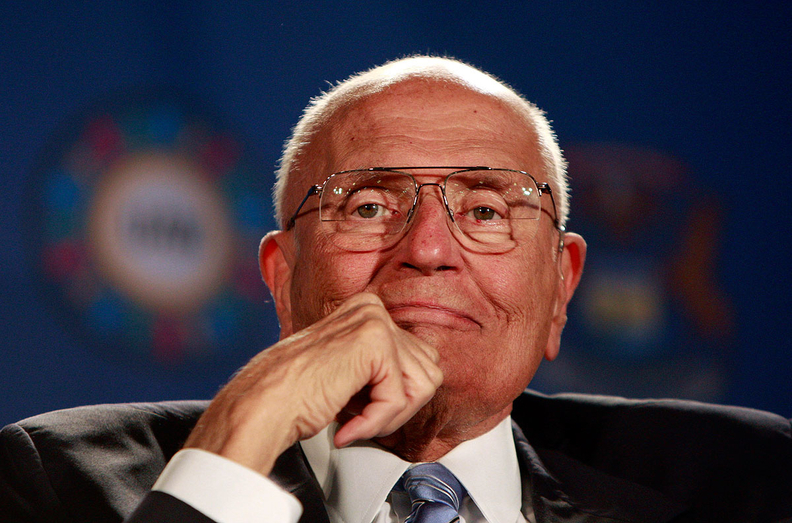 WASHINGTON — John Dingell, the longest-serving member of Congress in U.S. history and a staunch ally of the U.S. auto industry, died Thursday at the age of 92. CNN and Detroit's two main newspapers earlier reported he had cancer and had entered hospice care. A Democrat and son of a congressman, Dingell worked alongside 11 presidents for nearly six decades in the House of Representatives representing Michigan's 12th District, which includes Ford Motor Co.'s home base in Dearborn. His wife, former General Motors executive Debbie Dingell, holds his former seat. Dingell, who bounced back from a heart attack in September 2018, was an influential power player on energy and health care legislation. He championed U.S. automakers and manufacturing jobs, civil rights, environmental regulation and national health insurance — helping to create the Affordable Care Act under President Barack Obama and Medicare 45 years ago. As the chairman of the powerful House Energy and Commerce Committee in 1981-94 and again in 2007-08, he wielded substantial influence over legislation that affected the auto industry. Although he helped author the Energy Policy and Conservation Act of 1975, which created the United States' first corporate average fuel economy standards for light vehicles in the wake of the 1973 OPEC oil embargo, Dingell often clashed with his own party and environmentalists over raising the standards because he said it could hurt the U.S. economy. He eventually co-sponsored the Clean Air Act of 1990, which clamped down further on tailpipe emissions from cars and trucks. Dingell's death prompted a wave of tributes from former colleagues and auto industry officials, as well as renewed calls for cooperation in Washington during a period of unprecedented partisanship. "In Michigan, he was that rare accessible hero that would fight for our paychecks, our health care, our labor rights and our civil and human rights," UAW President Gary Jones said in a statement. Obama praised Dingell’s role in fighting for the landmark Civil Rights Act, rescuing Detroit's automakers and key suppliers during the financial crisis, creating Medicare and then, decades later, sitting alongside the president when the Affordable Care Act was signed in 2010. Obama honored Dingell with the Presidential Medal of Freedom in 2014. Dingell was a supporter of the government bailout of General Motors and Chrysler Group in 2008, and fought the full opening of the U.S. to foreign imports, arguing that it hurt Detroit's auto industry and the U.S. economy. President Donald Trump has made a similar case and threated to curtail imports of foreign auto and auto parts. Over a congressional career that started during the Eisenhower administration, Dingell never wavered in his support of Michigan's automakers. As a supporter of the Obama administration's Cash for Clunkers scrappage program in 2009, Dingell protested that a similar program in Japan was not as open to American light vehicles as the U.S. program was to Japanese cars. 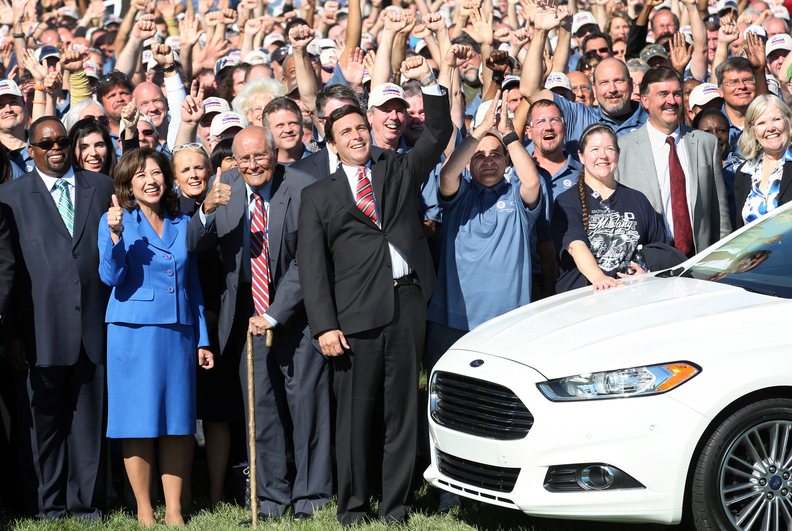 From left, UAW Vice President Jimmy Settles, U.S. Labor Secretary Hilda Solis, Rep. John Dingell, D-Mich., and Mark Fields, Ford Motor Co.'s president of the Americas, with workers and a Ford 2013 Fusion outside the newly named Flat Rock Assembly Plant in Flat Rock, Mich., on Sept. 10, 2012. "I've never known a man who has been a better champion of the American worker, and he deserves a great deal of credit for the resurgence of the iconic American automobile industry," then Vice President Joe Biden said of Dingell in 2014. Dingell chronicled his life in public service and how government has been instrumental in America's prosperity in a recently released book, "Dean: The Best Seat in the House," co-authored with David Bender. Dingell, a World War II veteran, was a prosecutor for Wayne County, Mich., in 1954-55 before running for the House. He was previously married for 20 years to Helen Henebry and is survived by his children, Jeannifer, Jeanne, John and Chris. 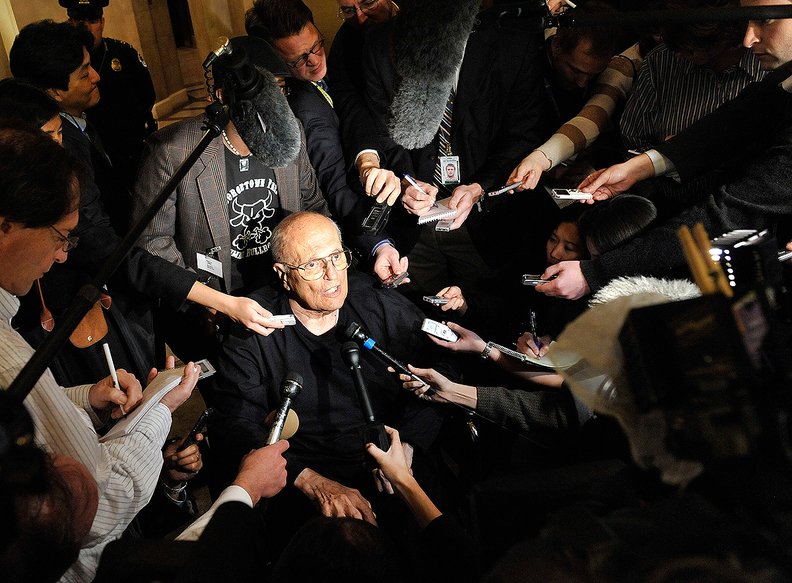 Rep. John Dingell, D-Mich., with journalists in Washington on Nov. 6, 2008, when Detroit automakers were teetering and seeking government-backed loans amid a widespread credit freeze and financial crisis.